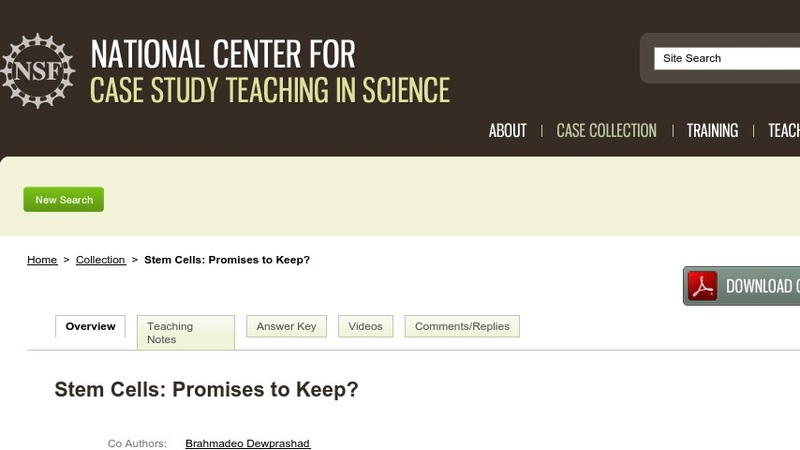 Stem Cells Promises to Keep? Samantha and her husband Brad have two children, conceived with the help of in vitro fertilization treatments. After viewing a TV program on stem cells and their potential medical uses, Samantha is convinced that they should donate the remaining frozen embryos they have to medical research, an idea Brad strongly objects to. The case teaches about stem cells and their medical applications as well as the ethical dilemmas posed by their use.